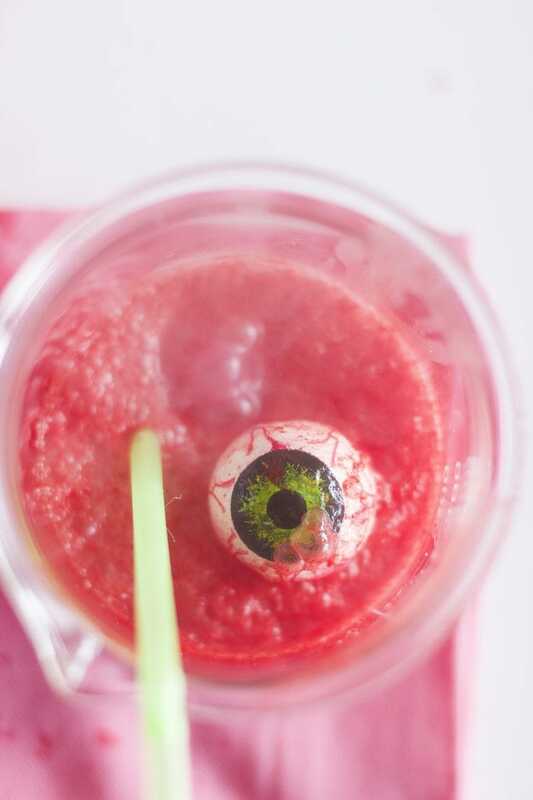 I am NOT going to lie to you guys – this spooky Halloween eyeball punch recipe is COMPLETELY out of my comfort zone. 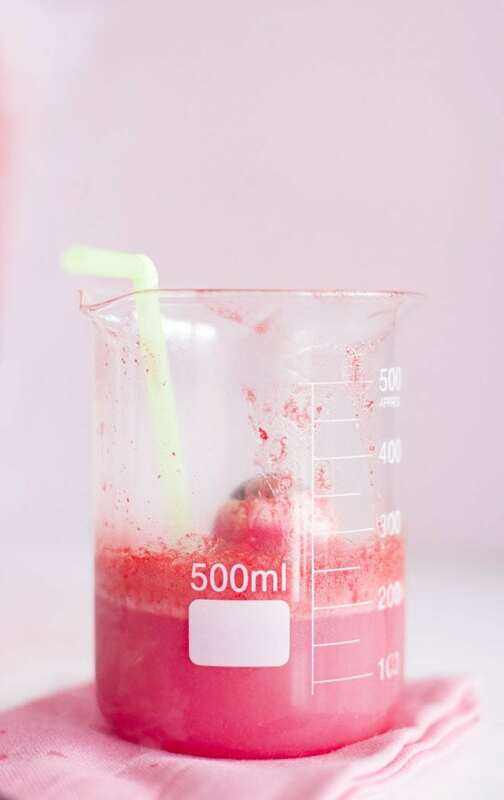 If I didn’t photograph it on a pink backdrop, I may have passed out. I realize that building a brand from a creative standpoint is pushing past your comfort zone, but it’s tough. Charlie is absolutely obsessed with Halloween and the spookier the better in his eyes, so I took the plunge and did something against the BFFF grain…. 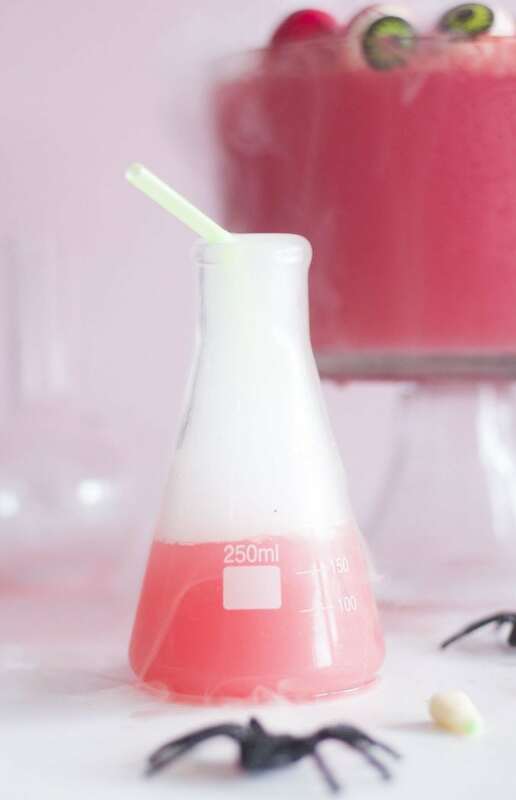 Whether you’re hosting a fabulous Halloween party for your friends or planning to go trick-or-treating with your kids, this punch recipe is a must. And you can totally customize the scary-level of this display for your event! 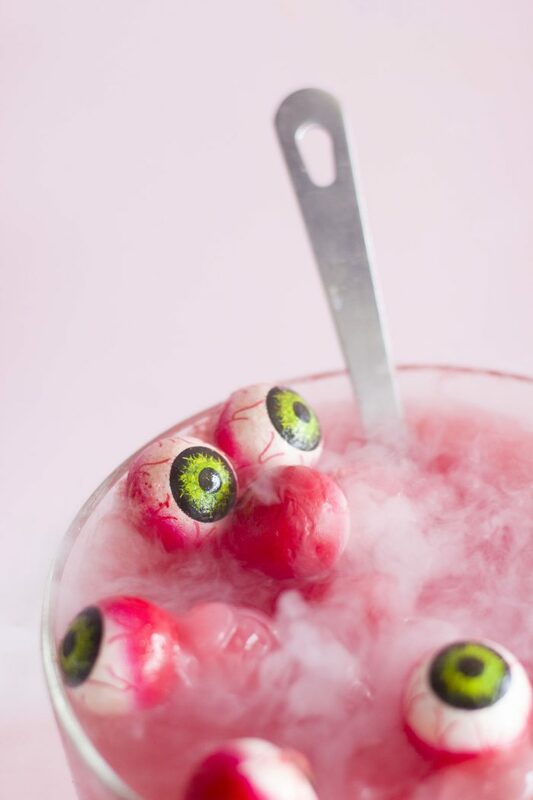 If you have younger kids, you may want to tone down the amount of spiders and eyeballs, but it’s still a great centerpiece. Make sure to check out this recipe, it’s impossible not to get in the holiday spirit with this festive bowl around! 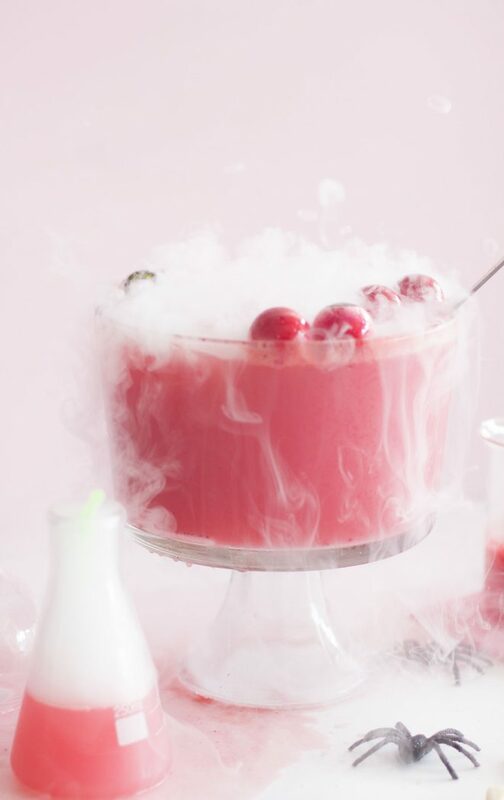 Charlie was literally freaking out with excitement when he saw this in full action – dry ice and all! Pour your Cherry 7 Up into your punch bowl. 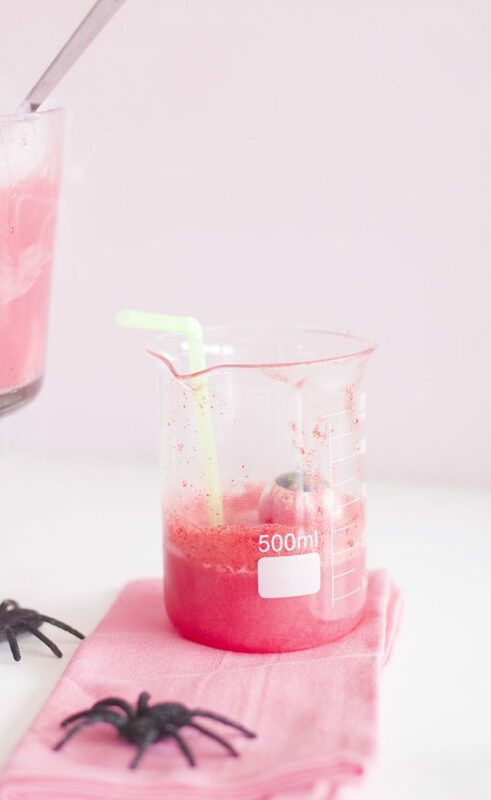 Scoop ice cream into your punch bowl (about 8 scoops). 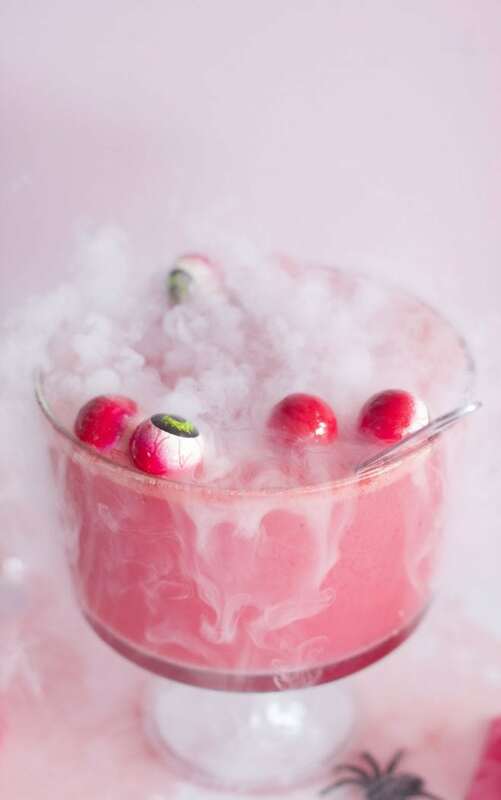 Add your dry ice and eyeballs to your punch bowl. 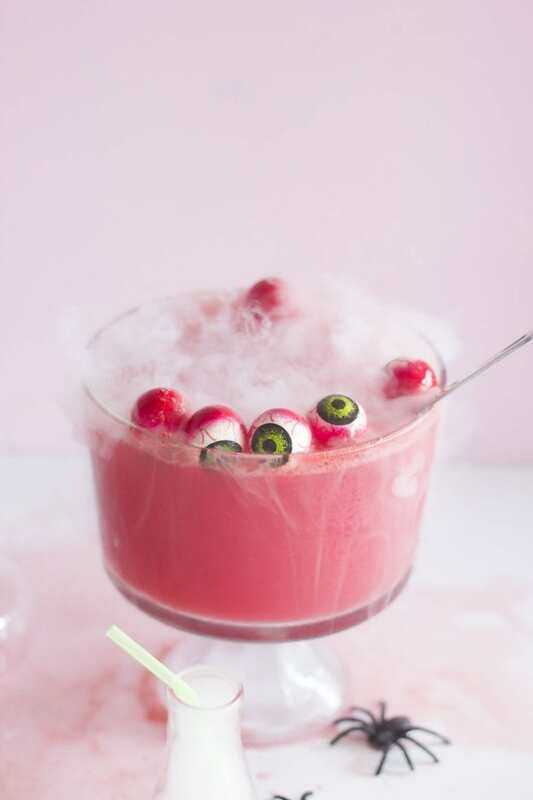 Love the eyes you used on this punch recipe!